“Who Pooped in the Cascades” is a High Plains Book Award finalist! This is exciting! 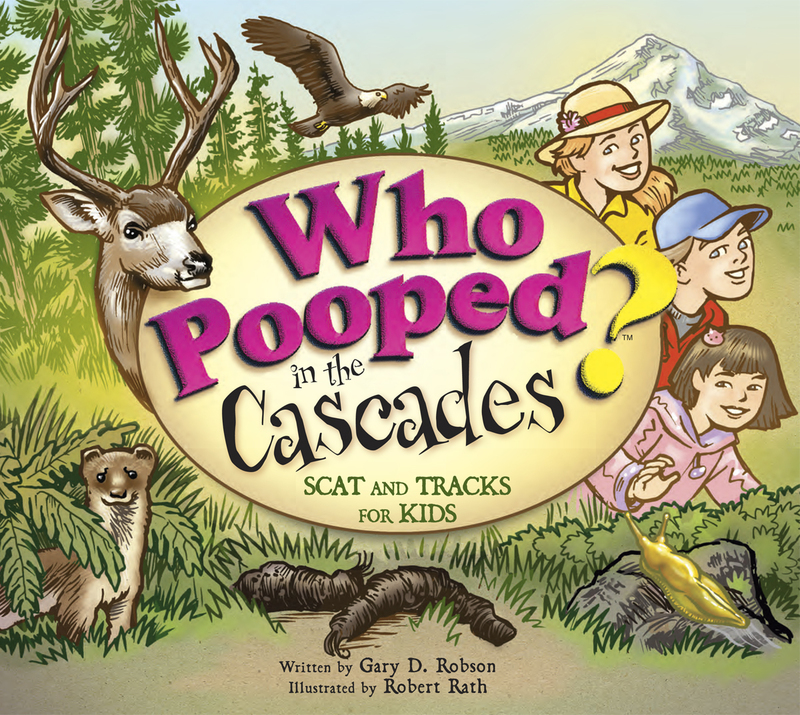 The High Plains Book Awards has added a new category this year for children’s books, and Who Pooped in the Cascades? has been chosen as a finalist! The winners will be announced at the High Plains Book Festival in Billings, MT on October 25, 2014. The High Plains Book Awards recognize regional authors and/or literary works which examine and reflect life on the High Plains. The High Plains region includes Montana, North Dakota, South Dakota, Wyoming, Nebraska, Colorado, Kansas, Alberta, Manitoba and Saskatchewan. Who Pooped in the Cascades? is the 18th book in my “Who Pooped” series, which is published by Farcountry Press in Helena, MT. The series began in Yellowstone National Park. This latest book follows Michael and Emily and their friend, May, on a trip to the Cascade Mountain range in California, Oregon, and Washington. Michael tries to deal with his fear of mountain lions as Mom and Dad teach him and his sister about the wildlife in the area — without ever getting close enough to be scared. In their “close encounters of the poopy kind,” the family learns about a variety of animals, and readers will become familiar with their tracks and the droppings they leave behind (scats). 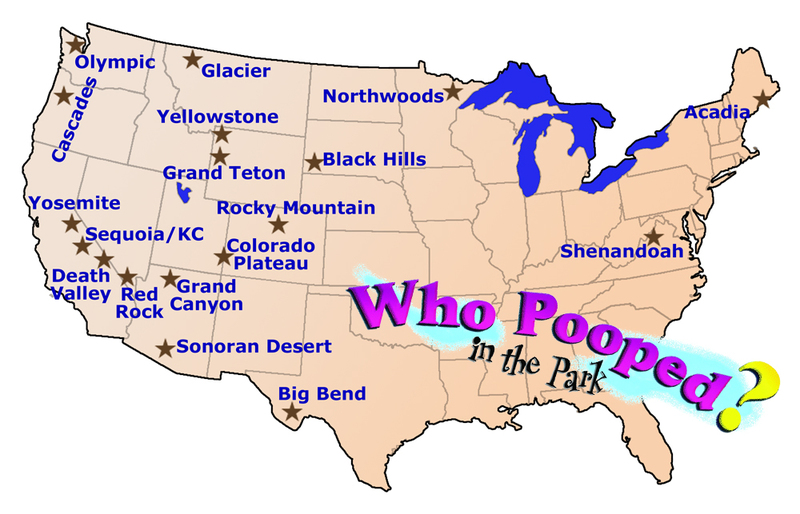 The illustrations in Who Pooped in the Cascades? are by Robert Rath from Bozeman, MT. He illustrated eleven other books in the series as well. The other two finalists for best children’s book, Baba’s Babushka by Marion Mutala and Leaving Mr. Humphries by Alison Lohans, are from Your Nickel’s Worth Publishing in Regina, Saskatchewan. This spring and summer is lining up to have a wildly eclectic set of public appearances for me! So far, I have things scheduled all across my areas of expertise: book signings, a TED talk about captioning, and a tea blogger’s panel at World Tea Expo. Join me at TEDxBozeman on Friday, March 21 for a day of celebrating Pioneer Spirit with an amazing lineup of speakers. My talk is entitled “Does Closed Captioning Still Serve Deaf People?” I’ll be exploring the history and roots of closed captioning and look at the progress it has made, the pitfalls it has encountered, and where it might be going. As of this writing, tickets are still available, but they’ve sold out pretty quickly the last few years, so if you want to be at the talks in Bozeman, Montana, you’ll want to snag those tickets quickly. It will, of course, be streamed as well, and the talks will be available as individual videos on the TED website. I wrote a while ago on this blog about my talk and included links to some of my favorite TED talks. I’ll add a link here when I post more details about the talk. If you have any interest in tea, head for Long Beach on Friday, May 30. I will be joining a group of other tea bloggers for a panel discussion about the world of tea. There is more detail on my other blog, Tea With Gary. 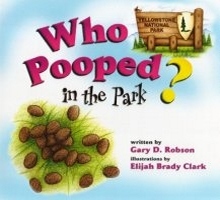 I will be signing “Who Pooped in the Park?” books at Yellowstone Stage (the Old Faithful Inn in Yellowstone National Park) Sunday July 6 from 1:00 to 6:00 and Monday July 7 from 11:00 to 6:00. When I started college at De Anza in 1976, I was convinced that my future was entirely centered around software engineering. Since I’d been working — and playing — with computers for years, I bypassed a lot of the early classes and jumped right in to higher-level classes. I was living the computer dream, working nights in the computer lab at school and making extra money tutoring programming. I even taught a class, which is where my problems began. I proposed the class to the Dean of Data Processing, and he turned me down. Imagine that. He turned down a cocky 19-year-old who thought he was mister junior professor. In retrospect, I understand completely, but at the time it bothered me no end. I was grousing about it to my boss at the computer lab job, and he laughed. Come on, look at this guy! Doesn’t he look like a college professor? Wouldn’t you want to take a computer programming class from him? “Have you ever actually looked at my business card, Gary?” he asked me. I hadn’t, so I picked one up. His title was listed as “Director of Staff Development.” I looked at him quizzically. As it turned out, everybody didn’t win. I got my class, and the Dean got pissed. Finally, at the end of the semester, he summoned me to his office. Suddenly, I realized where he was going. I’d taken a pretty heavy load for two years, and I had almost three years worth of credits. He could wipe out most of those credits with a stroke of his pen, and it would take me another whole year to fill in the gaps. I was furious. Being a snotty 19-year-old meant that I didn’t do the smart thing and negotiate with him. I blew up. He, of course, held all of the cards, and I ended up dropping out and getting a full-time job instead. End of college career for Gary. Fast-forward a bit over ten years. My wife and I, through the business we owned at the time, had just donated a sizable amount of computer software to West Valley Community College in California. The problem was, nobody there knew how to use it. They asked if we’d be willing to teach the classes for a couple of years, and the staff could attend along with the students to bring them up to speed. We agreed, as long as we didn’t have to teach more than a class or two at a time. Shortly before the semester started, the head of the department called and asked me to come in and fill out paperwork. I went through all of the papers, filled in the blanks, dotted the i’s, crossed the t’s, and handed them to her. She scanned through everything and came to a screeching halt. This impending crisis ended up involving several other staff members, one of whom came up with an idea. She asked how long I’d been working in the field, and went off to look something up. As it turns out, ten years of related real-world experience could be applied in lieu of a bachelor’s degree for purposes of granting credentials. 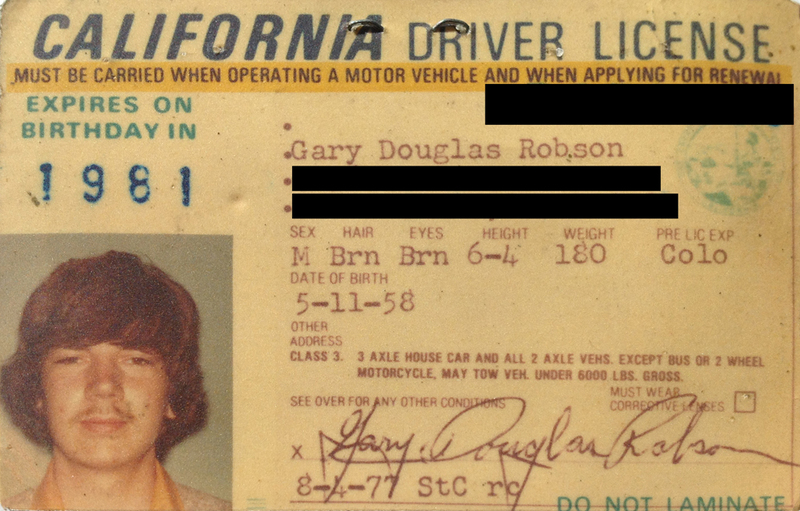 On August 28, 1987, I was granted temporary credential #342745 by the State of California, allowing me to teach “computer and related technologies.” I immediately called my mother to tell her the news. There’s nobody better than a mother for keeping you humble. Over the years, my lack of college degree hasn’t impacted me much. Once that two-year stint at West Valley was over, the credential didn’t help much, either. It’s great to hang on my ego wall, but it was temporary and it expired long ago. The only other college I taught at was in Montana, and they don’t require credentials. I applied to teach at a two-year school in Wyoming, but they wouldn’t even accept the application without a Master’s degree, so neither a B.S. nor a teaching credential would have helped there.